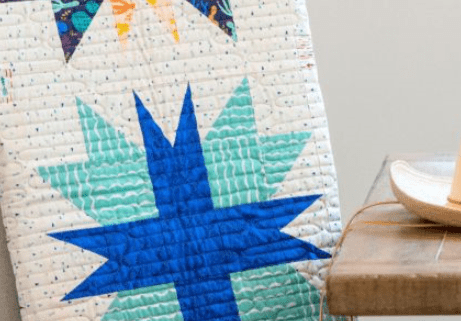 Description: This throw quilt is on point! Muted earth-tones paired with vibrant accent colors and a warm, cream background creates a modern, yet folksy feel. All you need to cut precision points are your 6”, 8”, 9”, or 12”, GO! Qube Mix & Match Block, GO! Qube Companion Set-Angles, GO! Strip Cutter-2 ½” and your GO! Fabric cutter!